Review: I was lucky enough to receive this review copy from Random House and, being a massive Carmen Reid fan, I was eager to get started! This wouldn't normally be my kind of book, but I'm trying really hard to read outside my comfort zone more and this blog thankfully gives me just the opportunity to do that. This book had me hooked right from the word go! It was full of action and suspense and yet a clear moral value running all the way through. It is set in 1940 and war has just broken out. Nicole lives in Belgium and Nazi soldiers have begun their invasion. She joins a Resistance group, and that is where the action really begins. I think this was a great idea for a storyline because, we hear a lot about children evacuated from the UK during the war, about soldiers in the UK, USA and Europe, but there really isn't an awful lot about teenagers during the war, those on the cusp of adulthood, not quite a soldier and yet not a child any longer either! I loved the character of Nicole, she really did her part for feminism in every chapter of the book. She is strong and stand up for what she believes in. Even when she knows she shouldn't, even when she is being told it isn't safe, she couldn't do it, she goes for it, for the greater good of her country. She has strong ideas and uses her initiative, she doesn't follow the crowd and she definitely isn't concerned about what others think of her. The things that she overcomes in this story and truly phenomenal, I won't go into them too far because the amazement you experience as a reader, hearing the trials and tribulations she faces on a hourly basis of immense. There are a host of other characters in this book that are equally fabulous and support Nicole throughout her journey. The main male character in the book Anton is a fellow Resistance member and he and Nicole have a lovely relationship. This runs throughout the whole of the book and softens the edges of the fighting and drama that is going on in occupied Europe. I am pleased that their romance isn't the dominant storyline here though, i think the story told, was far more important and far more enjoyable! Normally I'm not brilliant at reading a book with a setting, not so close to home. I've never been to a concentration camp, or to Germany, and obviously I haven't visited Belgium during the war, however, the setting wasn't a bit problem in this case. The rooms and houses that Nicole was in, and the predicaments she got herself into in other locations were so well-described that I had no problem picturing the solitude, and damp and darkness, it practically leapt off the page at me! 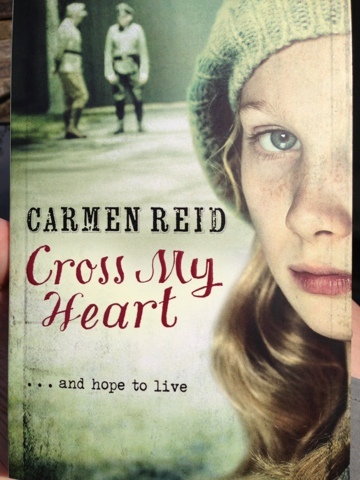 Whether you have read anything by Carmen Reid before or not, I would thoroughly recommend giving this novel a go. Even if, like me, you aren't normally into books set in the war, or action books, this one totally stands out as something different! 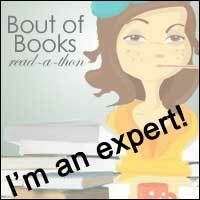 It had me gasping, and encouraging characters to change their minds out loud. This was a completely new discovery for me, and I think one that other readers should get to experience for themselves!